I’ve heard about QR codes for years and Googled for them long ago before they were readily available for consumers, but for some reason tonight, they popped into my mind again and I decided to look them up. I was excited to see that you can make your own QR code easily online. In simple terms, a QR code is a graphic 2D barcode that stores information, such as addresses, URLs, business card info, or anything else. Scanning the code with software on your camera-enabled mobile phone will automatically launch a browser to the specified destination. More from the Wikipedia entry below. A QR Code is a matrix code (or two-dimensional bar code) created by Japanese corporation Denso-Wave in 1994. 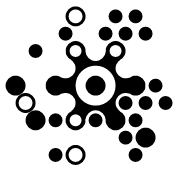 The “QR” is derived from “Quick Response”, as the creator intended the code to allow its contents to be decoded at high speed. QR Codes are common in Japan, where they are currently the most popular type of two dimensional codes…Although initially used for tracking parts in vehicle manufacturing, QR Codes are now used in a much broader context, including both commercial tracking applications and convenience-oriented applications aimed at mobile phone users (known as mobile tagging). QR Codes storing addresses and URLs may appear in magazines, on signs, buses, business cards or just about any object that users might need information about. Users with a camera phone equipped with the correct reader software can scan the image of the QR Code causing the phone’s browser to launch and redirect to the programmed URL. This act of linking from physical world objects is known as a hardlink or physical world hyperlinks. These days, you can create your own QR code easily through various websites. I created my QR code with the URL information to my blog using the free service at Kaywa. I took the poster’s suggestion and downloaded NeoReader from the iTunes app store. Once you’ve downloaded the app, come back and try my QR code above. Simply launch NeoReader, press the “scan” button, take the picture, and you’ll be sent to http://emilychang.com. Of course, the effect isn’t quite the same since you’re scanning the QR code on my website, but you get the idea – if this QR code were seen on the street, business card, magazine, etc., and you scanned it with your phone, you’d end up here. The hardlink between the offline, physcial world and online, virtual world is established. I’m probably going to put some up around San Francisco and see who finds them. In fact, I’m already brainstorming some mobile tagging projects. I’ve only seen maybe two QR codes on fliers in San Francisco so far. I wonder if we’ll see more adoption here in the U.S., even if we don’t catch up to Japan’s use. UPDATE: Matt Musgrave points me to the 2dsense site, where I made the Blotcode for my site below. The graphical possibilities are endless with these! To view my Blotcode, you’ll want to download 2dsense’s free iPhone app, since they’re the only reader for the new Blotcode format. Matt, thanks so much for the link. I LOVE the circular dot pattern codes. Going to download their app now! I like the Blotcode you made for your site! Btw, I scanned both the Blotcode you created at 2D Sense and the QR Code you created at Kaywa with the 2D Sense iPhone App and they both directed me back to your blog. Cool! I’m interested to see how your experiment turns out. I wish I was out in SF to find them. Keep us posted! Question is how to create a better model for use rather than just slapping them on stuff for people in the know? Should get better traction with the new gadgets and more open formats of professional information transmission. @chris I agree. Adoption of these codes will depend on educating people on what they mean/do. It might be solved with just a simple URL printed below the code itself. The URL could lead to a landing page explaining the codes’ usage and links to download the appropriate reader. Or, you could have an SMS shortcode set up and printed below the code. Texting the number would send you the instructions. @Bonnie: thanks for your comment and info. I agree with you and wish the 2DSense codes worked across more phone manufacturers because I love the blotcode. Wish I could make it to MobileCampNYC3. Not sure I can but I’d be interested to hear how it goes. Also, the metrics on your blog post about the flier campaign are fascinating. Keep me posted on how the sample campaigns work out. @ChrisFizik: That is awesome! I’m not that familiar with the Charts API but will look into it. May ping you with some questions. I am so excited about the possibilities of 2dcodes and their implication for the information and marketing sectors. I have been investigating and exploring them and am in the process of designing use samples using 2dSense Platform and its digital delivery feature. I am also currently compiling info on various formats and readers. As a warning you may experience some problems with some scans. However various factors such as image quality, size, distance from image and scan technique can affect readings. Recommed code size is 1” with a clear border around the image We learnt that this space is important when we gave it up in favor of design elements. Print need 300 dpi. Kaywa generates codes in various sizes! This technology is only just scraping the surface of its potential. Like you I like the Blotcode design and a sneak peak of what’s coming from 2d sense is amazing! My main complaint to the 2DSense folks is that my target market are not primarily Iphone users. 2dSense readers has an added feature, its hyper-linked to a 2dsense account so that you can keep track of codes you generate both read and the code actually acts as a bookmark that can be accessed later on. Your codes are also stored online as a back up should you loose your phone. It also reads several other barcode formats. Check out the contact feature which can be used to create “V-cards” so that rather than passing out cards you can simply have another phone scan the image from your phone or create a sticker for your name tag at meetings and conferences. Nokia also has a generator as well as reader for Nokia models. Like you though, I like the Blotcode design, and have actually used it in images we distribute to educate the potential users on it’s possibilities. A sneak peak of what’s coming from 2d sense is amazing. Disclaimer I am in the process of designing sample products and campaigns to test the 2DSense platform direct mobile marketing feature, which we hope to present at MobileCampNYC3 which will Take Place on November 15th (9:15am-6:00pm) at Microsoft’s NYC office in midtown Manhattan. If you want to promote your blog or other online content to (mobile) users via QR Codes, manage the linked content and the Codes you should check out http://www.Snappr.net. You can also ‘Make Stuff’ there and print your Codes on shirts or other apparel or log on to http://snappr.mobi and share your codes directly from your mobile device. There is a QR Code creation, a decoding API and more. Is there a SYMBIAN S60 version in the works for Nokia? I’d like to add it to my apps.. just got the E71 ;-) Thanks! Great Blog!! Hi, another site where you can create your own 2dcodes is http://www.lyngoh.com, you can also signup for an account and track access to your codes. It has an API and some tools to print and share your codes. I started a 2d barcode group on Linked In in July.. It is now at 130 people…and 20 countries …. It is called “2D-barcode and mobile barcode mavens”. My firm is investing in several 2D-barcode directory sites in China, Japan, and Korea as platforms for coupons for mobile learning. Ian Foster runs it …..
Roger at Kaywa is a great guy too……. Could anyone tell me what on earth is the benifit of using a QR code instead of a group of plain letters other than memory obsfucation for the purpose of some kind of security(if there is any), does the use of this kind of steganography on url really help on user’s privacy or just adding another layer of “standard/algorithm/processing/whatever” and thus potentially introducing more problems? Again, I enjoyed Emily’s blog, just posting a different opinion/question..
@Philip and @wizardbt, thanks for the link. Will check it out. @steve epstein, thanks I joined the group. Look forward to seeing what develops. @mia As a technology alpha numerics are limited in their ability to carry and transmit information concisely (all relative). 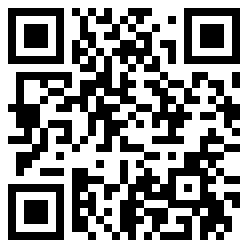 QR enables dynamic one click (image) transmission of increased volume of information / action. Imagine that you want to get to a link that was written on a page. You would have to type that link in vs. snapping a pic and being taken to the link directly. This way getting to an online location becomes almost a natural action rather than forcing the precision of remembering and typing a url. Also capturing purchase information from something you see in a magazine is a snap with QR(sorry couldn’t resist). It becomes easier to reference and forward. This ensures accuracy and uptake. Imagine all the fantastic linking / activities that could occur! Post to FB, Yelp it, order through Amazon, etc. The point is small barriers can keep people from taking action and that is critical in marketing. Nice post. The blotcode was interesting; I had never seen before. It has a nice aesthetic look. Unfortunately I doubt this kind of pervasive usage of QR code and other 2D barcodes will take off anytime soon in the United States. The main reason is that the mobile phone is a much more important source of information and connectedness than it is in the US. Back when the RAZR V3 with its 176×220 display was the hot consumer offering, the standard offering in Japan already offered a QVGA or HVGA browsing experience over 3G (yes, anywhere from 2-4 years before major US rollouts). I think the only way 2D barcodes like QR code will enter the mainstream is if the major carriers institute a two-prong plan. First, all released cameraphones would be required to have a simple-to-use 2D barcode scanning application included in the firmware. Second, create some advertising partnerships with large print media conglomerates. Possibly some ads on television to increase. I think with the release of consumer-oriented (and priced) smartphones like the iPhone and htc G1, the stars may finally be aligning in favor of increased mobile data usage in the United States (and as a result 2D barcode usage). What an informative post, thanks for the effort. I am currently a university student doing my project on implementation of 2D barcode to mobile application in my country. I did some research on the size and effective space for all code. By comparing data matrix and QR code, data matrix found to be more space and size effective. As QR code is originally created for Kana Character from japanese. My motive is to reduce the size so that it is not so ugly on the Ads and media. Apparently blotcode change my tot. I really hope it can be implemented to more mobile phone provider and platform like Symbian and Window Mobile. MakeUseOf.com just published an article on QR codes. It goes into some detail about the 2D Sense App. I have US patent of digital codes. Please see the site dimentioned, and waiting for your comment. We made a pretty cool QRCode Generator tool. It can generate 2D Codes for the different features of your phone – Maps, URLs, phone, SMS, contacts and even has a section for raw data. There is also an API for easy integration. I’m currently working on an illustration based on these – there is some unique maths in there too. Thanks for posting this info – nice one. Hi Emily, I too have been playing with QR Codes and find the possiblities fascinating. I am currently creating a campaign using them, including this poster idea, which the links straight to a website. I was interested whilst playing to learn you can colour them, and create interesting graphic elements whilst retaining their functionality.